Thank you to our guest speaker from the Children of Fallen Patriots Foundation, Eric Heineman. Their mission to provide college scholarships and educational counseling to military children who have lost a parent in the line of duty is a very noble cause. Please check them out to find more about them and ways you can help. 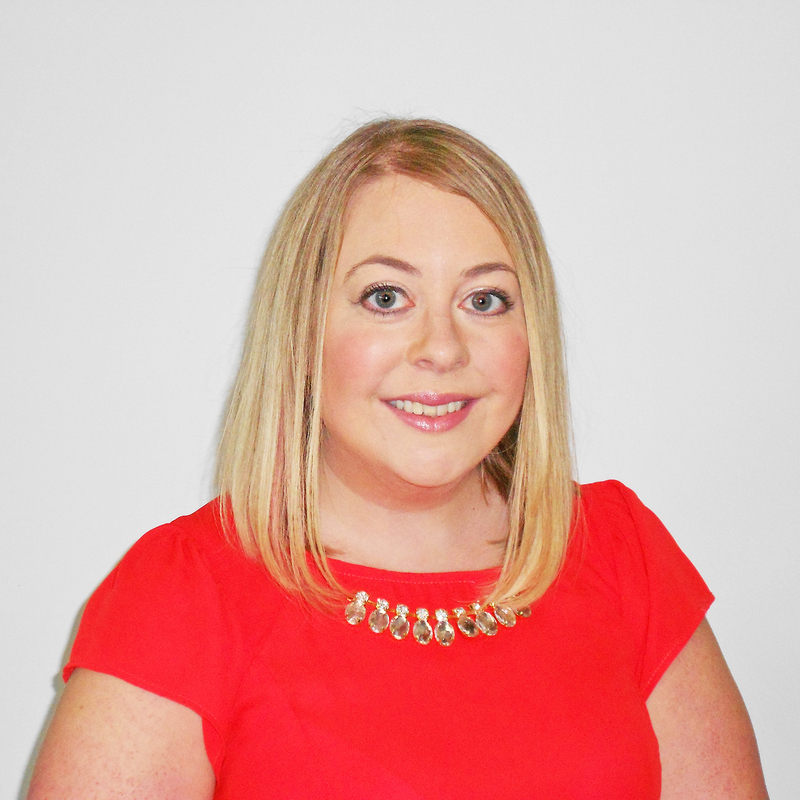 Congratulation to Emily Ferguson. At our last meeting she was presented with theScott Amos Rotaractor of the Year award. The award was given to her in recognition for her commitment to the club and her dedication to service above self. To help keep up with all that is going on you can always check out our calendar, follow us on Facebook, or look for our Meet Up events. Rotaract meets at Hightide Burrtito Co. the 2nd and 4th Thursday of each month. 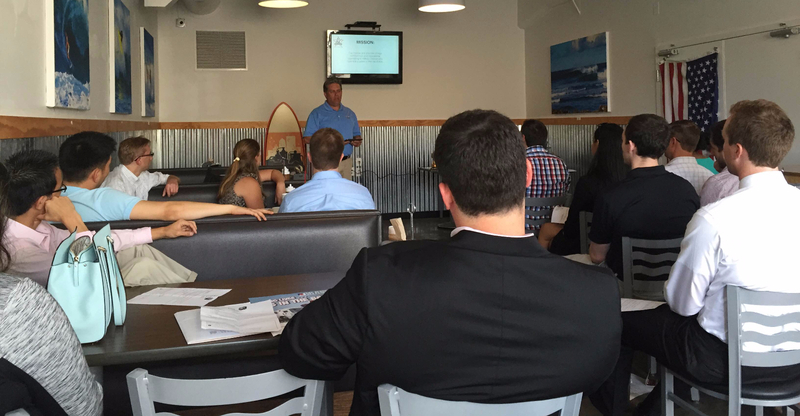 Join us for networking and socializing at 5:30pm, followed by our meeting at 6:15pm. Guests are welcome at our meetings, service, and social events. 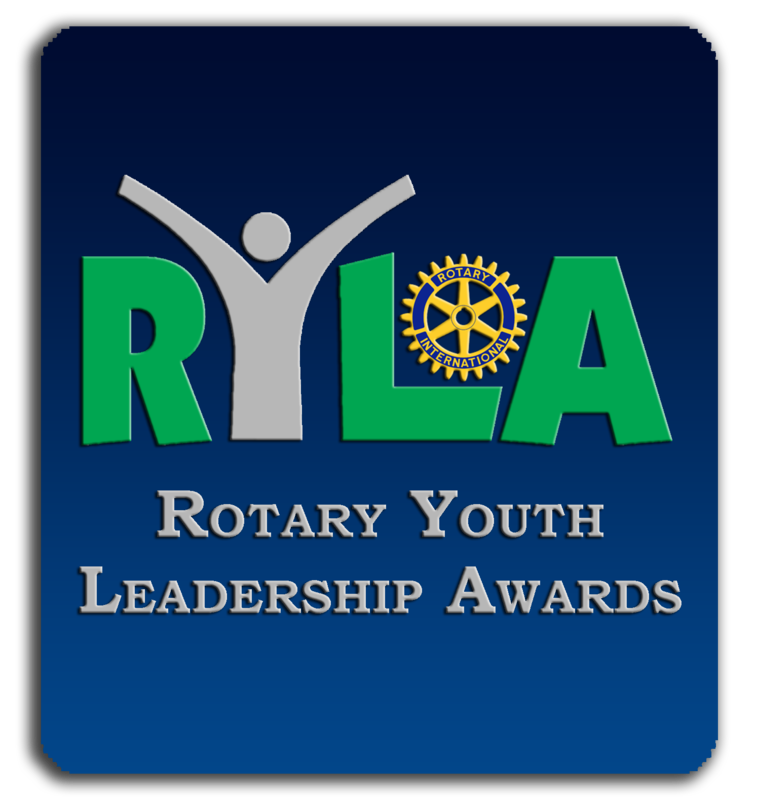 The Rotary Youth Leadership Awards (RYLA) will be held at UNF June 18th through the 21st. We are going to get involved and help out with setting up for the dinner and social for that Saturday.Please check out our Facebook page for further information and to sign up. 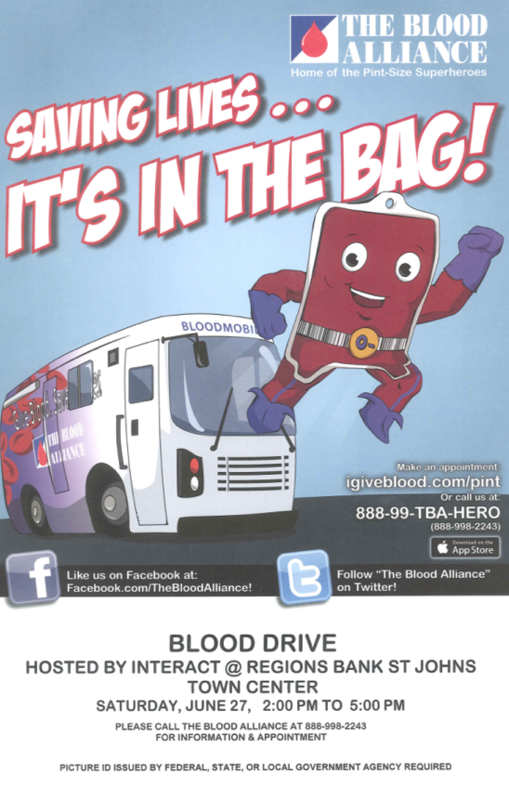 On Saturday June 27th the Stanton College Prep Interact Club is putting on a blood drive. It will be from 2-5 PM at Regions Bank at the Town Center. We would like to get out as many Rotaractors, and their friends, as possible to help support their efforts. Look for more details and a sign up to come. As we wrap up another Rotaract year, we take the time to celebrate our accomplishments as well as welcome in the new board and say good bye to members who are leaving the club. To do this we will be having our annual Hail and Farewell Celebration on the weekend of July 11th. 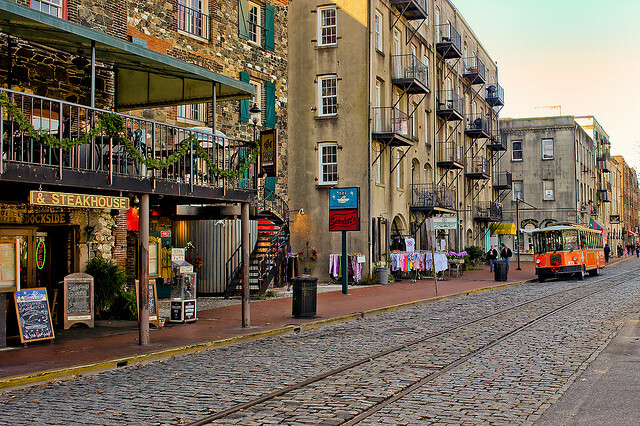 The details are still being finalized but the plan is to do an overnight trip to Savannah. Please save the date and look for more information to come. 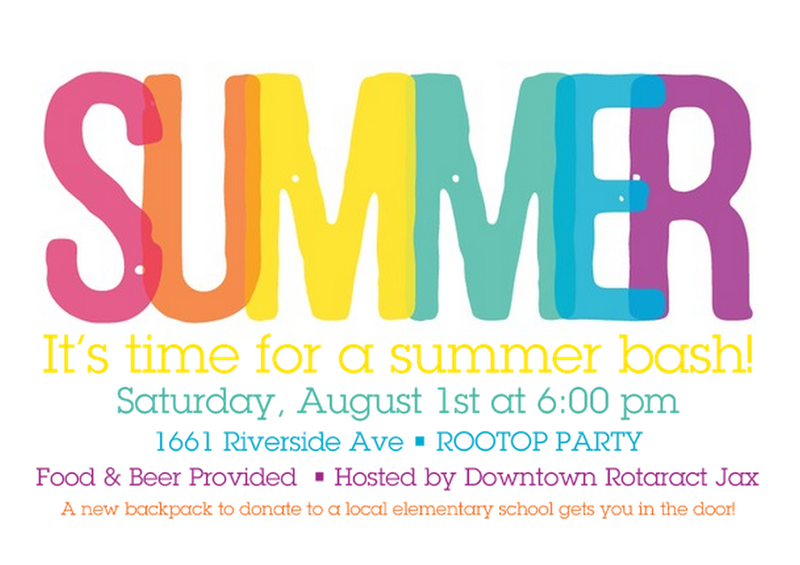 Our friends with Downtown Rotaract are celebrating summer while helping out a good cause. Save the date for August 1st and join them for a rooftop party. To attend the event please bring an unused school-age-appropriate backpack to donate. The backpacks collected will then be donated to John E Ford Elementary School. You can find more details on the event Facebook page.